From the Batman v Superman Dawn of Justice collection by NJ Croce. 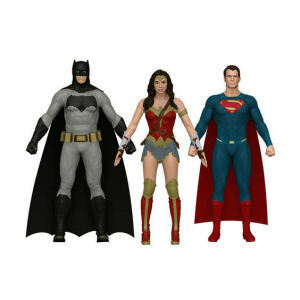 Batman v Superman Dawn of Justice Bendable Action Figure Set. The bendable action figures range about 5.7 inches tall to 5.9 inches tall.